Tony Monaco may be the best organ player you have yet to hear of flying stealth while playing arguably some of the hottest B-3 around. Mentored by the legendary Jimmy Smith in what is considered the more classic style, Monaco does not swing, smolder or smoke. Tony Monaco burns is the most fitting. He will perform Sunday, March 23rd at 5pm Savannah Westin Resort. Members – Free / Non Members $20 / Students Admitted Free with valid ID. Tony Monaco began his keyboard life at age eight. When he was twelve, his destiny as a jazz organist was sealed when he first heard Jimmy Smith. An enthusiastic student, Tony began working in Jazz clubs as a teenager in his native Columbus, Ohio, guided by local organ gurus Hank Marr and Don Patterson. Four years later, Jimmy Smith invited Tony to come play at his club in California, a peak lifetime experience for Tony. 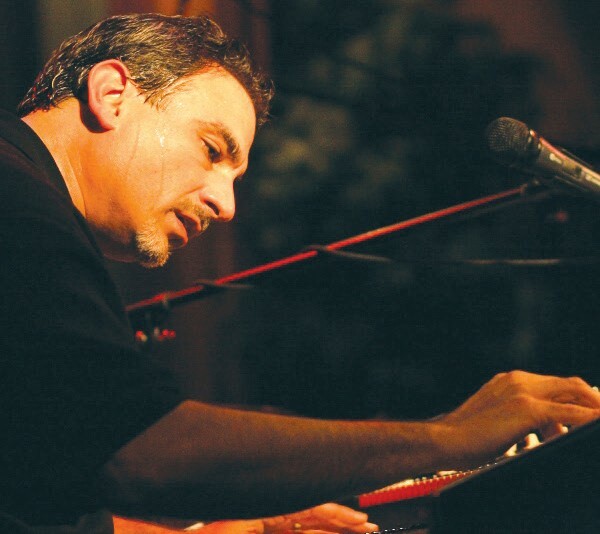 In April 2000, Tony met fellow jazz organist Joey DeFrancesco, who offered to produce a debut CD for him. This collaboration resulted in the critically acclaimed “Burnin Grooves”. The international success of the recording served as the catalyst for regional and national tours. Tony has since released 8 International releases and toured around the globe many times. Tony also toured and recorded with Pat Martino for over two years! As an ardent student of the organ, it’s no surprise that Tony is an accomplished teacher as well. In addition to private students, classes and clinics, Tony has produced a series of instructional DVDs titled “Playing Jazz Hammond” that have become indispensable for many serious students of the organ. Tony continues to expand his catalogue and has created Mother Hen Music. He developed a system of giving lessons one on one online and gives lessons to students around the globe!